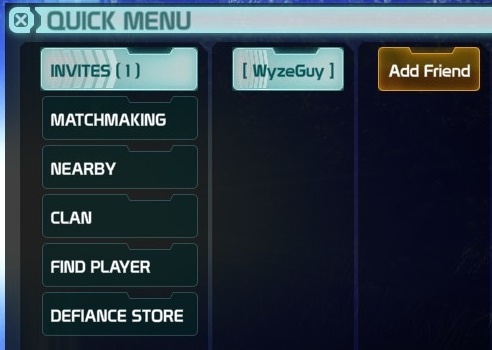 The Quick Menu can be accessed in-game by pressing Ctrl. Once in, there are nested options that are context sensitive. Simply click on an option to open up the next level of the tree and make your selection. 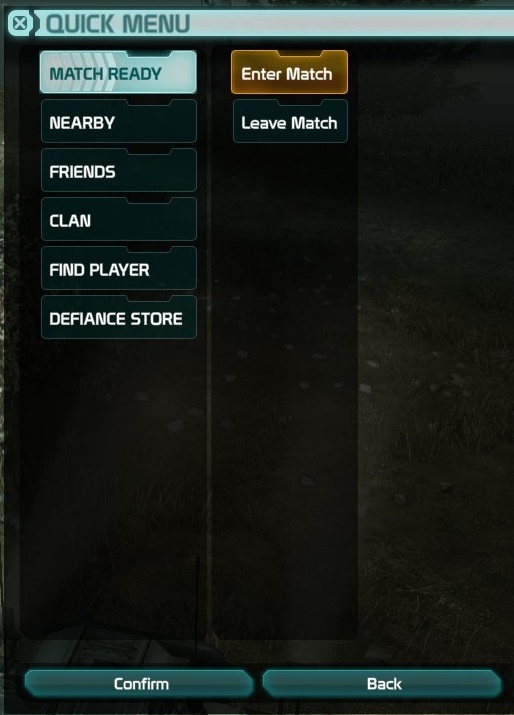 When queued for Matchmaking and a match is ready, the Match Ready option will appear on your Quick Menu. The matchmaking option will let you join in on Competitive Multiplayer maps, Co-op Maps and Shadow War. 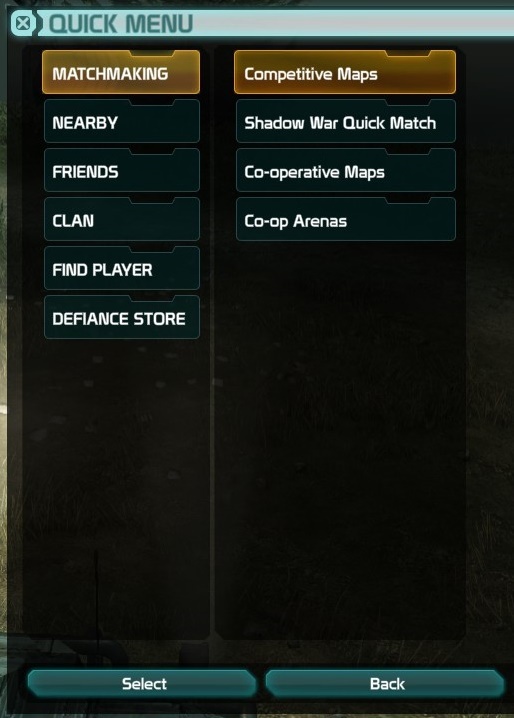 All the options you can find in on the Matchmaking screen are available through this menu option. You are given an option to teleport directly to a Shadow War. 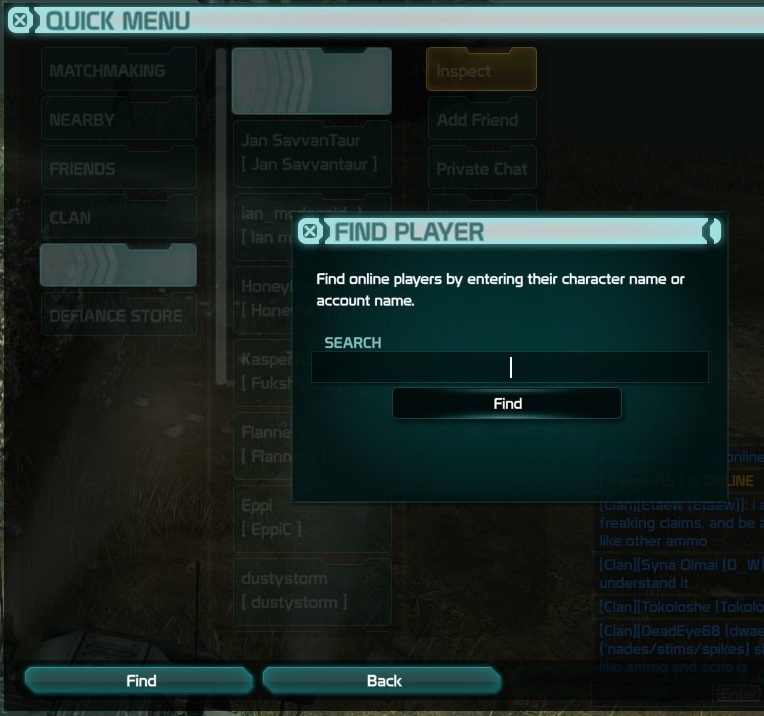 This shortcut will open up a dialog, allowing you to search for a specific player and find out their current status. 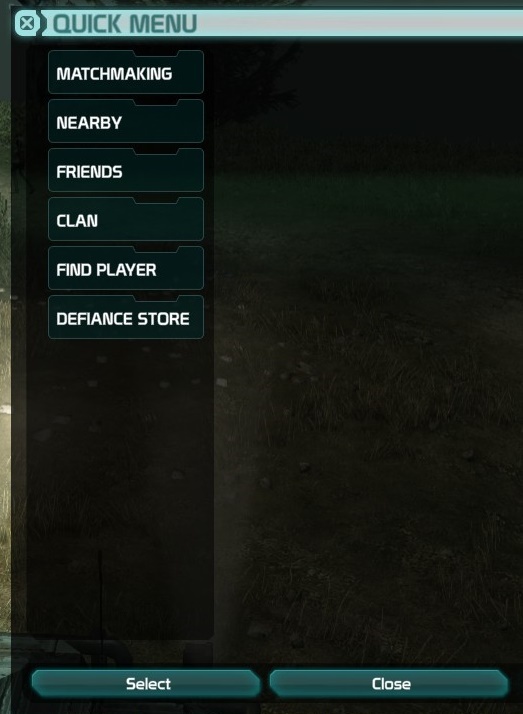 This shortcut will take you into the Defiance Store screen. From here, you can purchase Bits and use those Bits to purchase various items and boosts. 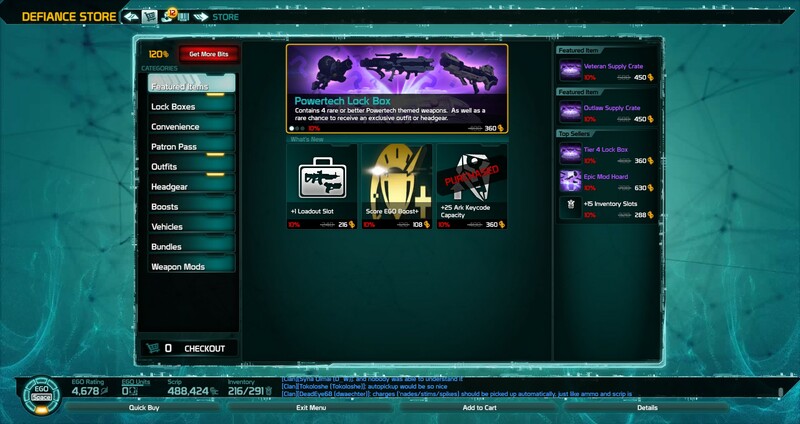 Also the Defiance Store is where you can claim any inventory overflow items. Another sanity check. Callouts and Emotes were removed from this menu correct? I remember seeing them and using them from here and then they were just gone. Yes, they were removed. 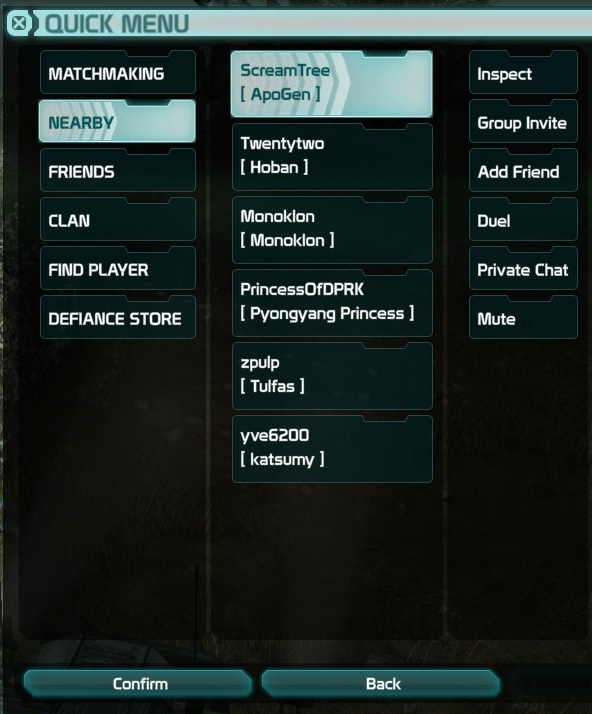 They still work with / commands (/dance, /cheer, etc) and you can see a full list of them if you type /help in the chat window.